There are a host of wearable technologies on the market today—think SharkSkin wetsuits and Cheetah running blades—that take inspiration from animal biology. Rather than constituting a radical break with the past, however, these developments are better understood as an extension of the longstanding practice of re-purposing animal body parts for their unique physical characteristics and/or material properties. 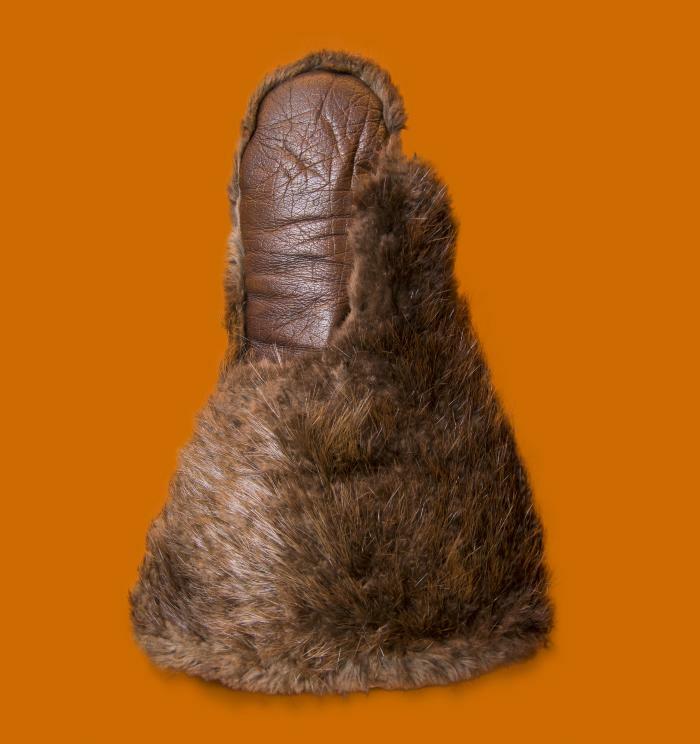 These winter mittens, for example, are made primarily of beaver fur—a pelt long-known for its warm, insulating qualities and resistance to moisture. Hand-crafted over a hundred years ago, these mittens could withstand sub-zero temperatures and damp conditions as well as some of best synthetic gloves available today. Made in Quebec City, Quebec, Canada.